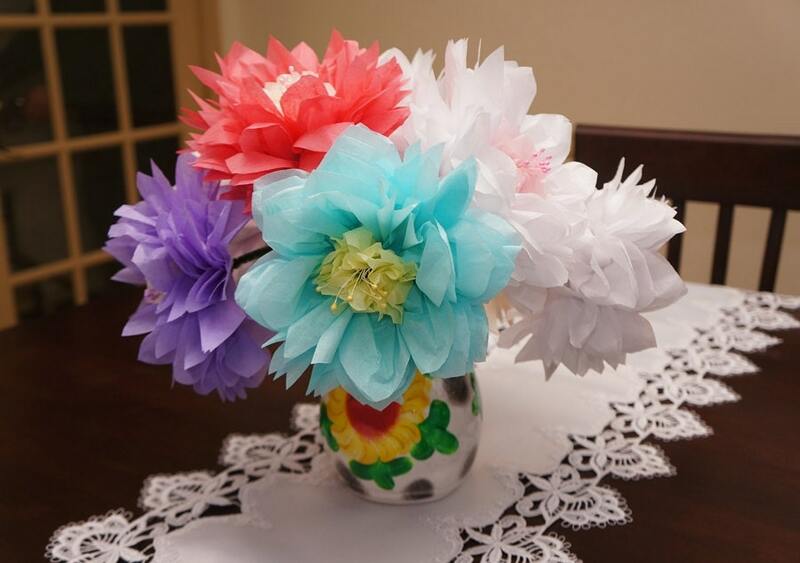 You will receive (4) 7" two toned flower with recessed center and 3mm pearl stamen. 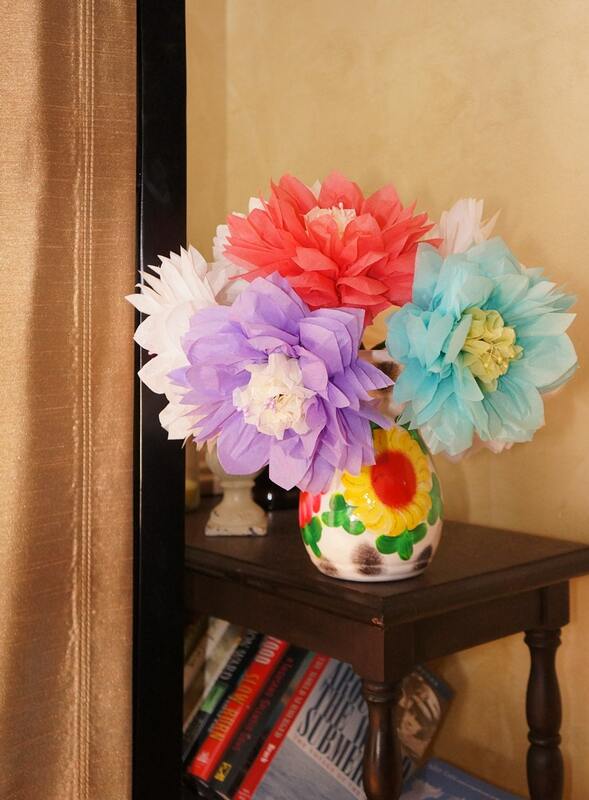 Flowers are made of premium tissue paper and attached to 12" moss green chenille wire stems reinforced cloth covered wire. Using wire for the stems allows you to bend or cut the stems to the length you need for the type of vase being used to display them in. 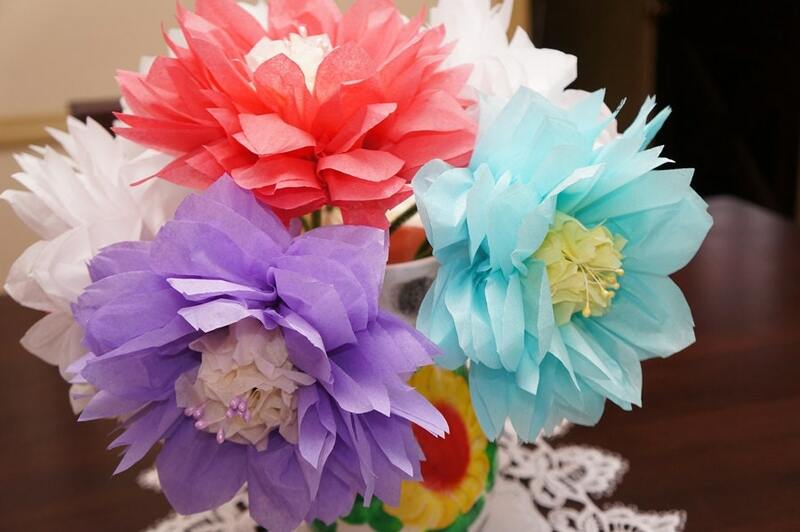 Each flower will be made with seven sheets of premium tissue paper. Using 7 sheets ensures a tight full flower. If you choose the Mixed Color option, please let me know what colors you would like! If you would like a special color that you don't see listed as an option, please contact me and I'll see if I can accommodate your request. AT THE TIME OF CHECK OUT IN THE NOTES SECTION PLEASE LET ME KNOW WHAT COLOR THAT YOU WOULD LIKE THE CENTERS TO BE. 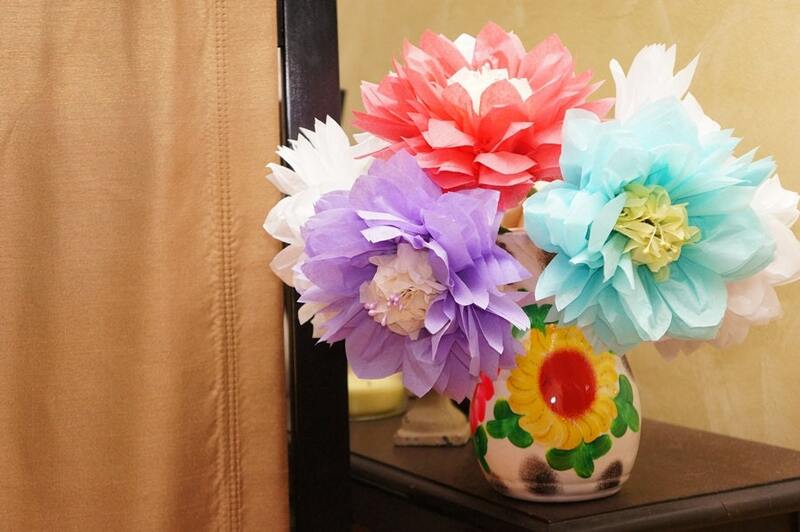 Flowers will measure approximately 7" in diameter. Please let me know what colors you would like. You will receive 4 flowers. 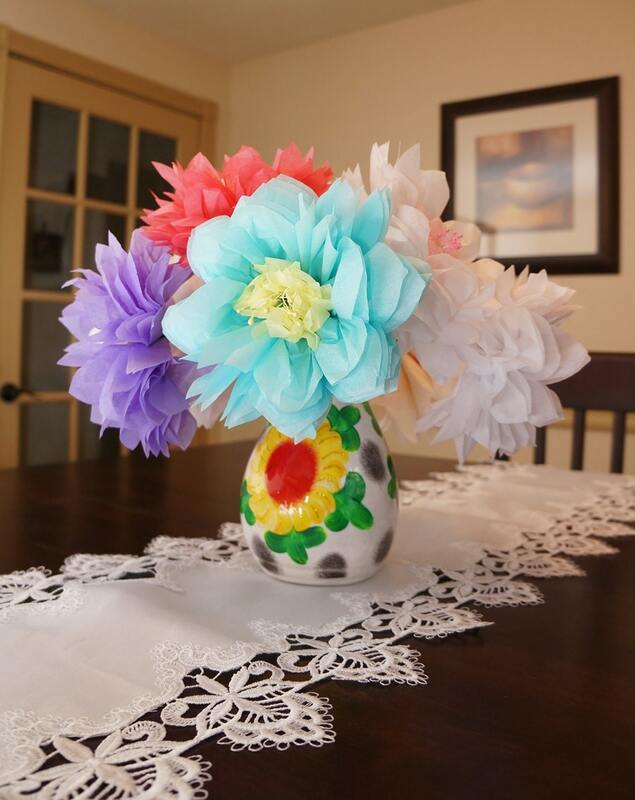 Looking for items to accompany your flowers or different flower options: please check out my other listings!